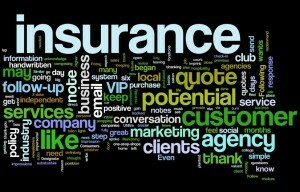 Following up on your insurance agency prospects will produce results! Following up with potential customers is crucial to your success at your insurance agency. Consumers looking for insurance have so many choices from the big box one-stop-shops to the local independent agencies. While many insurance agency marketing companies, like Tosten Marketing, can engage clients and fans on social media and through direct contact like an email newsletters, they cannot follow-up with potential clients who are getting quotes from your company. When competing for insurance business an important step that local independent agencies may miss is the follow-up. A potential customer (and all their information!) has fallen directly into your lap, requesting an insurance quote from your company. You provide their quote and let them know that they can call or email you at any time to ask questions or purchase the policy, leaving the ball firmly in their court…or did you? Your next step should be to send them a thank you note of some kind whether it be via email, handwritten or through a social share service like Red Stamp. Following up with your potential customer helps keep you in the forefront of their minds and a simple thank you note (a very lost art these days) can leave positive impressions of your company. Even if they wind up not going with your services, they may recommend you to someone else who is shopping for insurance; it is a great insurance agency marketing tactic. While in college, I was a VIP Host for a local nightclub and my job was to market the club’s VIP services to potential clients. It was a mostly impersonal quote system. Similar to the insurance industry, my clients entered their information on a website, and I provided a quote and then patiently waited for a response. I sent an initial follow-up email and if that did not get me a response in one day I called to check-in. I began doing this about six months after I had taken the position. While I did not gain the business of every potential client I spoke with, my close rate on sales were significantly higher than the previous six months. I also began sending handwritten thank you notes to clients that booked VIP services a few days after they came to the club. In turn they would send me emails thanking me for my note and so on. This kept the conversation going so my club was the first place they thought of when they needed VIP services for a night out. Keeping the door open for future conversation is key. The customer may not go with your quote for a specific reason now (like they only need car insurance or renter’s insurance), when they need more substantial services (like bundling home, auto, life, etc.) the mental imprint that your thank you note planted may get you their business down the road; again, it is great insurance agency marketing for an industry focused on personal service. I fully acknowledge that the hospitality industry has very little to do with insurance, but the customer service aspect is the same. The customer wants to feel valued and appreciated. The customer wants to feel like you genuinely want their business, not just their money. Designate a day, like Friday, to write thank-you notes for those who recently purchased an insurance policy from your company. Utilize your agency management system to keep track of dates that quotes went out and set an X-date for that quote to remind yourself to follow-up. Remember to keep the conversation simple, light and genuine. Even if the customer does not purchase the policy, know that you have definitely left a positive impression in their mind.